British Society of Gastroenterology and the Model United Nations are among conferences confirmed in Edinburgh last month. The economic value of conferences confirmed this year in Edinburgh has reached £40.4m after a boost in events booked last month. 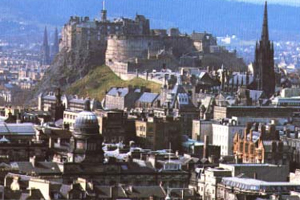 Edinburgh Convention Bureau (ECB) has calculated that conferences booked in the period 4 September to 1 October will generate £7.6m in economic benefit to the city. The ECB confirmed the city is to play host to 20 new events, which will be staged between October this year and September 2012. These include the Model United Nations conference in March 2011, which will bring 600 delegates to the city, and the British Society of Gastroenterology conference, which will attract a further 600 in September next year. ECB chief executive Sue Stuart said: "Edinburgh continues to demonstrate it possesses the rich diversity of qualities essential for a globally attractive and successful business tourism destination."